Breathtaking views of the Patong bay will make you feel in paradise, with a private plunge pool and outdoor furniture. Privilege Residence is a seaview 3 bedroom apartment with all you need for your holidays. The balcony has a private plunge pool with panoramic view over Patong bay. A short distance to Patong main strips, malls and restaurants yet in a quiet location. Living area has a big screen tv, dining area with chairs and table open to the large fully equipped kitchen. 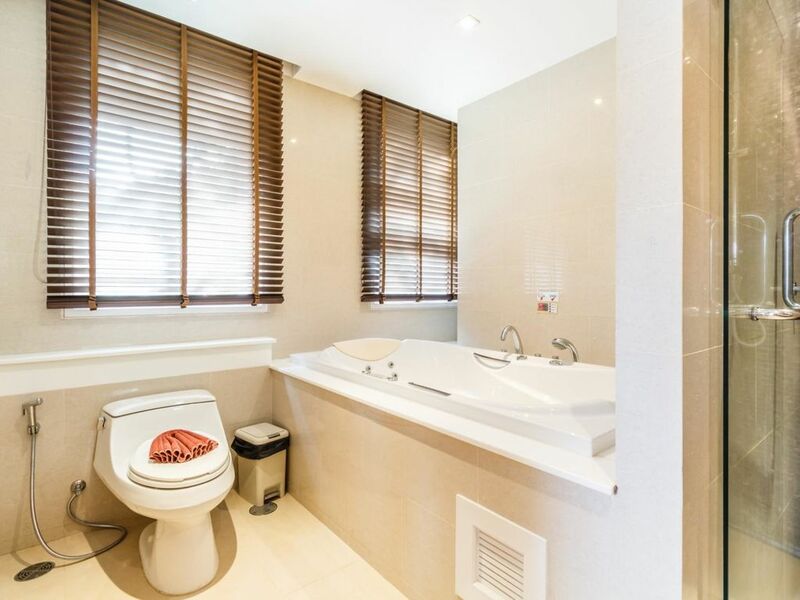 All 3 bedrooms are en-suite with large bathtub and king beds. 2 of the bedrooms have sea view. The swimming pool is shared and can be accessed with a key card provided. -Sky Bar Restaurant (for breakfast and lunch - not included in the price). Wifi is provided by the building. It's not high speed therefore not advised for working or streaming. Cleaning not included in the price, charged 1200 baht when required. If an extra cleaning is required, please book your cleaning 48 hours in advance.